Wait so because it got released to radio, you’re downgrading the song? That doesn’t make all that much sense. I like this one a lot, mostly because of Eric’s performance, but I don’t dispute its artistic shortcomings. I would have given it a B.
Greg, where do you see Dan downgrading the song because it got released to radio? I’m not seeing that. This seemed like a very balanced review to me. This one seems ok to me. A decent potential radio hit. This one seems likely to go high on the charts Some of the lyrics are a bit awkward though. Eric Church has some serious career momentum going now, though. But he really hasn’t had a huge hit on radio. A lot of his singles seem to die before making the top ten. I think if Church can get some big radio hits his career might explode. This song seems like a real good shot at a hit. I agree with the review above but its pretty easy to see why this is a single. It could really boost Church’s career. Greg, I think what Dan means is that the song doesn’t aspire to be anything more than a radio hit – whether it becomes one or not. I think Eric Church has a game changing album in him. If he plays his cards right, that is. But this is a good song, fun, as it’s supposed to be. Just good pop music. 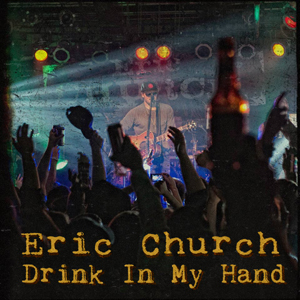 keeping it simple is Country Music, Eric Church is the best lyricist we have in our genre, enjoy this one crank it up and put a drink in your hand.